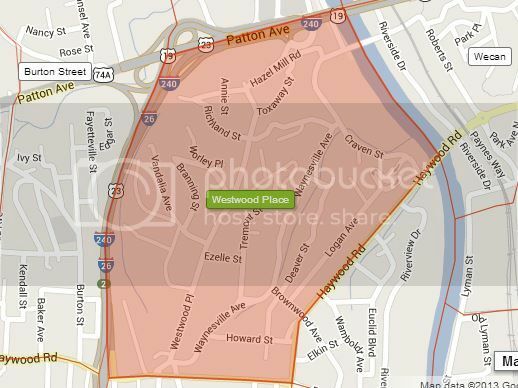 Westwood Place is a neighborhood in East West Asheville, bounded by Haywood Road, Craven Street, I-26 and Patton Avenue. In addition to performing a cleanup of the creek that flows through the neighborhood, RiverLink seeks to name that stream as part of its "Name that Creek" program. 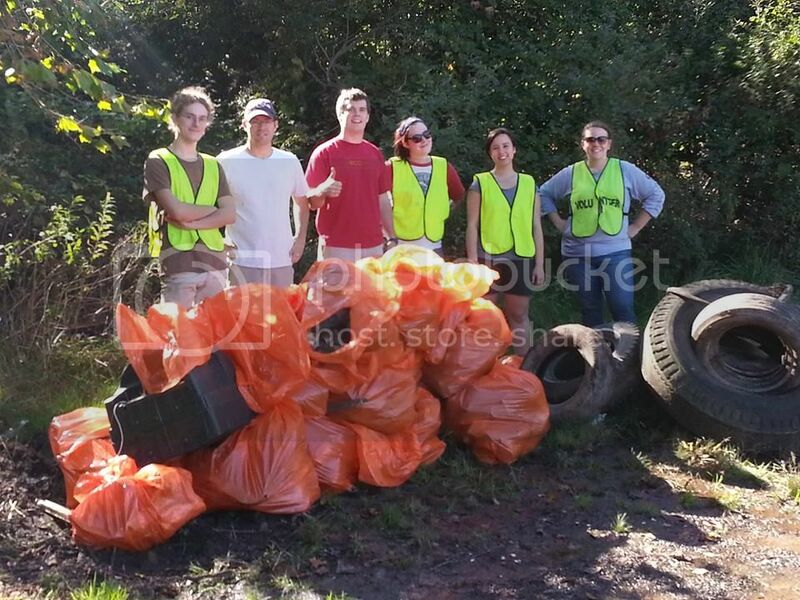 A resident of the neighborhood, inquired about a cleanup of the stream and RiverLink volunteers were happy to oblige. Recover Brands, RiverLink's partners in the RecoverLink series of cleanups conducted bi-monthly throughout 2013, came through with some volunteers, too, and the small but determined group descended on the ravine this unnamed tributary of the French Broad River flows through. This stream apparently has no name. It's easier to love something with a name, and RiverLink wants to give this stream a little love through the Name That Creek initiative. These are local, grassroots projects in which the community submits suggestions for creek names and votes for the most fitting name at a creek-naming ceremony. After a name is chosen, it is submitted to the USGS and eventually becomes the official name for the creek. Since the project's inception, RiverLink has coordinated two contests with the help of community volunteers: Buttermilk Creek, a tributary of Hominy Creek in West Asheville, and Big Branch, a tributary of Reems Creek in Weaverville.